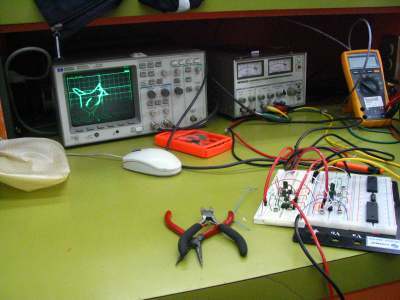 Selection of test equipment. We can determine if there are lower-cost or PC-based units that will meet your needs. We know that our designs must work reliably across multiple manufacturing runs, the full temperature range and semiconductor process variations, so all designs are subjected to a full Design Verification Test (DVT). Signal integrity, critical timing and other key parameters are verified on prototype boards rather than waiting for pre-production. Many current logic analyzers and oscilloscopes can store captures to disks, flash cards or network servers. Learn how to use this capability and use it so when something stops working, you know how signals behaved when it did work. Hard disks in equipment do fail. Back them up. Chances are your IT department doesn't. Check to see if the firmware/software on your unit is up to date. Even new equipment may have updates since it was built. Consider a prototype board with extra debugging features before the final unit is built. Test points for analog and digital signals can make a huge difference, especially on BGA-intense designs. Careful layout and development of autorouter rules can make the respin from initial to production board an easy one.